Pioneers in the industry, we offer mini square pan 14 x 9cm copper coated, plain chip cup cross cut copper coated, mini ss casserole copper coated, bar strainer 4 prong copper coated and bar strainer 4 prong black coated from India. We are the best supplier of Mini Square Pan 14 X 9cm Copper Coated. 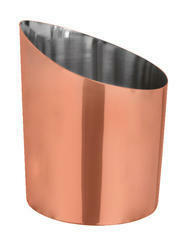 We are engaged in offering a range of¿¿Plain Chip Cup Cross Cut Copper Coated. 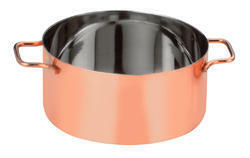 We are the best supplier of¿¿Mini SS Casserole Copper Coated¿¿to clients. 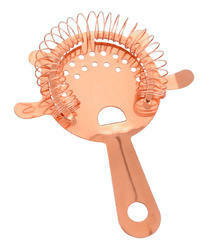 We are engaged in manufacturing and supplying a wide range of Bar Strainer 4 Prong Copper Coated. 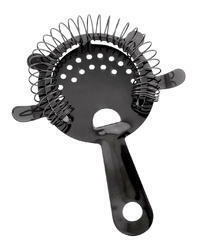 We are engaged in manufacturing and supplying a wide range of Bar Strainer 4 Prong Black Coated.